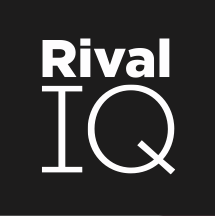 Rival IQ's automated systems find the most relevant web pages and social channels associated with each company in your Landscape. After the automatic process completes, our team reviews each company record to confirm the information for each company added to your landscape. If you'd like to fix the information yourself, go ahead! Hover over the check mark or the empty oval and you'll see a link to "edit". This change will be made immediately and we will gather the latest social activity data for each company in your account. Because certain metrics accumulate over time, we are only able to accumulate them after a company is added to Rival IQ. This means that some recently added companies may have limited history for social audience metrics - like followers/following metrics. If you have additional questions or concerns, mail our support team.